John Sayler, PT, DPT, STMT-1, brings his extensive clinical experience and passion for sports medicine to his patients at Pinnacle Physical Therapy in beautiful Coeur d’Alene, Idaho. 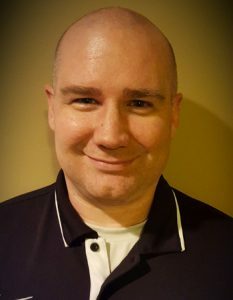 John earned his DPT from the University of North Dakota in 2005, and is currently completing an Evidence In Motion (EIM) Manual Therapy Fellowship. His specialties include neck and back pain, pediatrics, orthopedic sports medicine, and personal training. He believes in a hands-on approach with his patients, allowing him to better discover the root cause of their injury in order to prevent future injuries and help them become more active individuals. John spends much of his free time volunteering with young athletes to promote injury prevention in training.